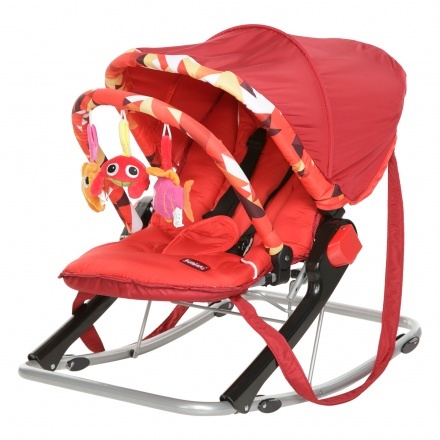 Juniors Volcano Baby Rocker | Red | The rocker folds completely for storage. 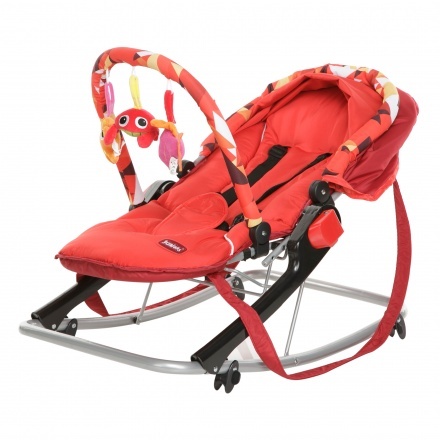 Be sure to keep your baby snug and cheerful using this baby rocker with a smart design. 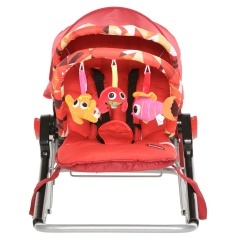 Featuring a foldable design and a collapsible canopy, this attractive and printed piece also has dangling toys. 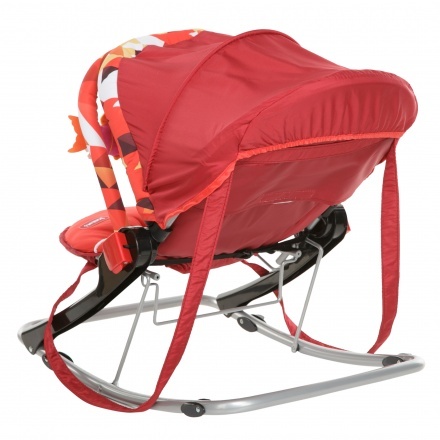 Feature 1 : The rocker folds completely for storage. Feature 3 : It is made from steel, polyester and plastic. Feature 2 : It sports a 3-point harness system and can carry 15 kgs.